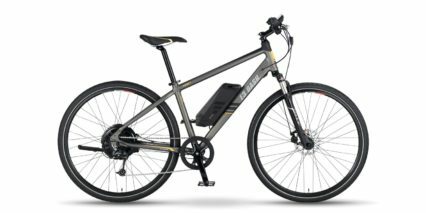 Currie Comfort 26" x 2.00"
The Currie IZIP E3 Vibe is one step above the eZip Trailz and along with the increased price point, offers a great selection of mechanical and structural upgrades. 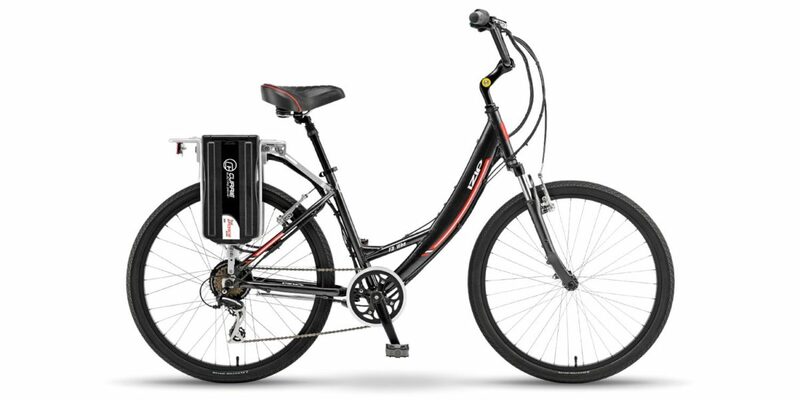 It’s available for just $999 with a Sealed Lead acid battery and 6 month warranty but the most common configuration sells for $1,399 and includes a medium sized Lithium Iron Phosphate battery pack and 3 year warranty. 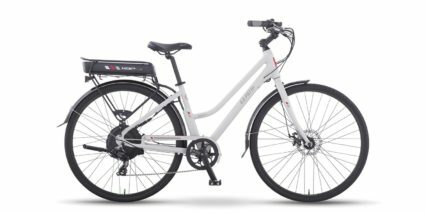 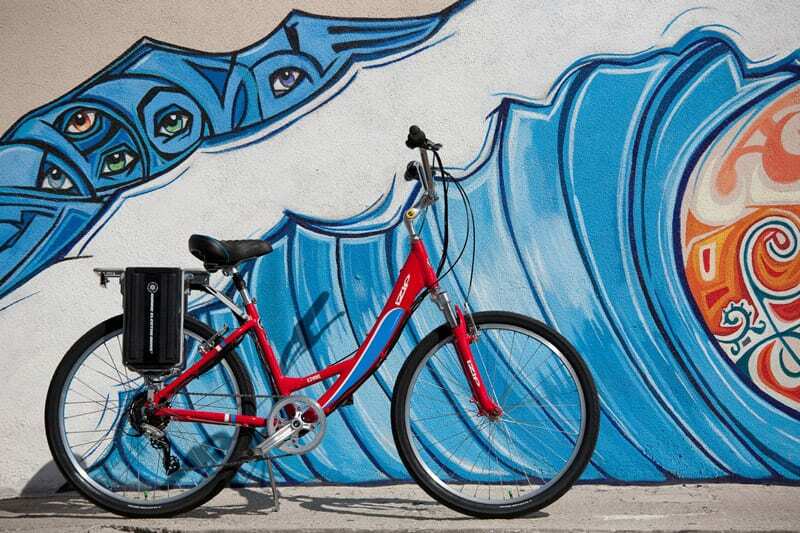 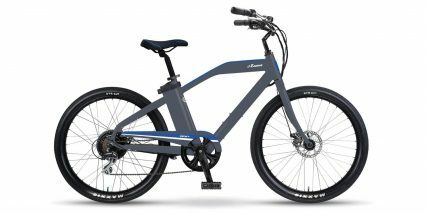 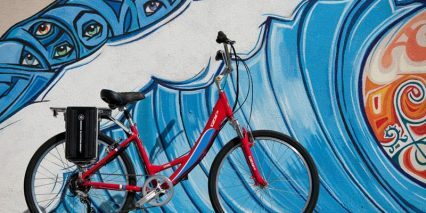 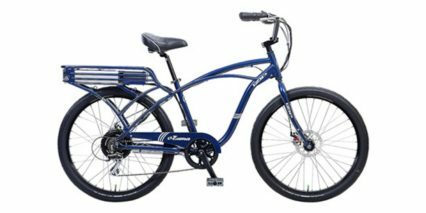 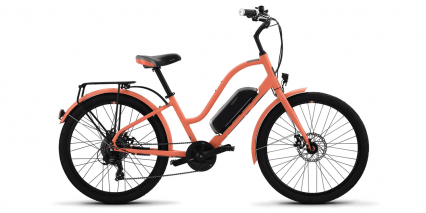 The IZIP Vibe is built on a light weight aluminum alloy frame with relaxed geometry and takes advantage of a hub motor vs. chain drive that makes it quiet, more reliable and more durable as an entry level electric bike. 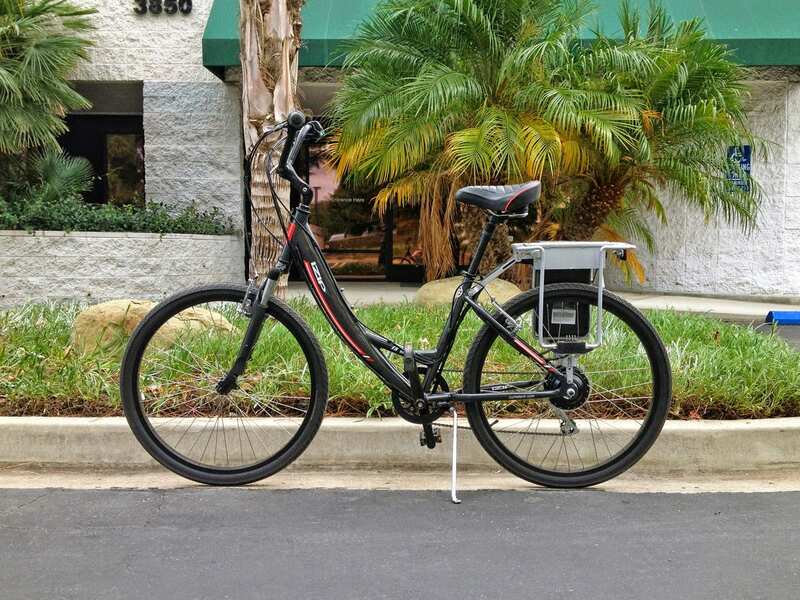 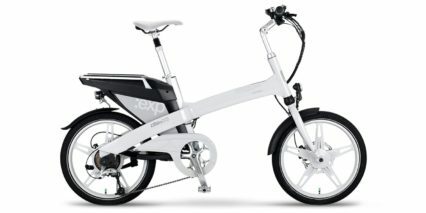 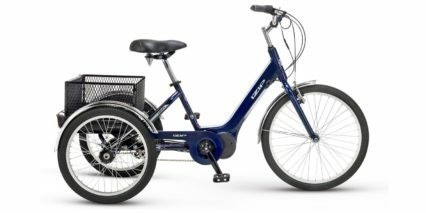 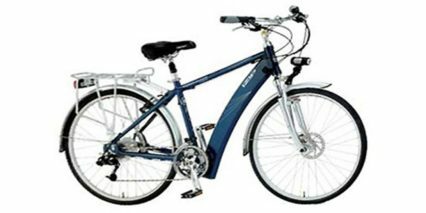 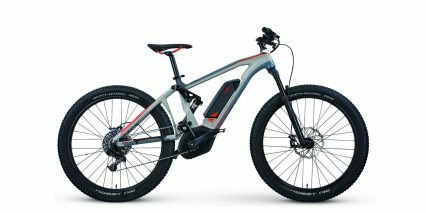 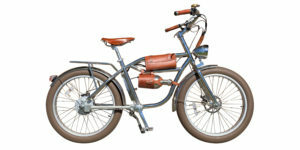 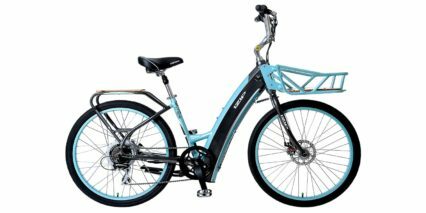 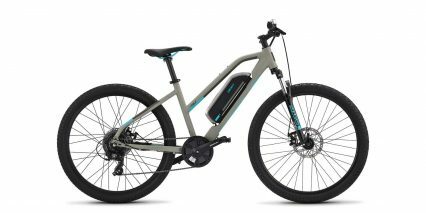 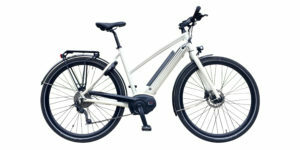 Note that this ebike is no longer being produced (as of mid 2014) and may only be found as leftover inventory at independent ebike shops or used at garage sales. 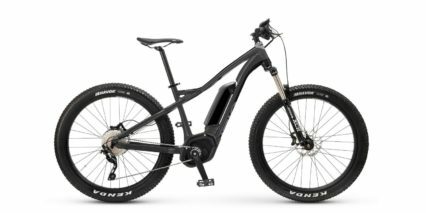 Keep this in mind as you may be able to get a better deal given that support and replacement parts will likely become increasingly difficult to come by. 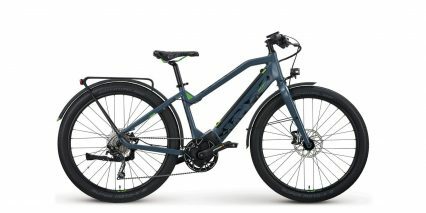 While it might be tempting to pick up one of these bikes and feel like you’re getting a bargain it’s important to consider the trade-offs in performance. 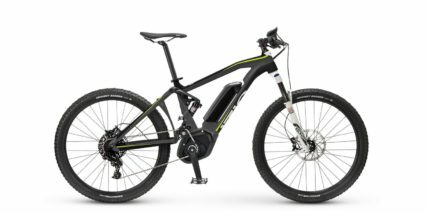 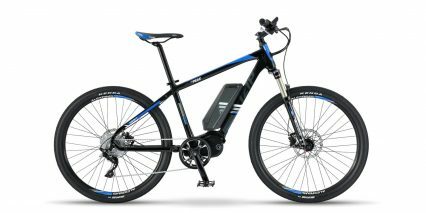 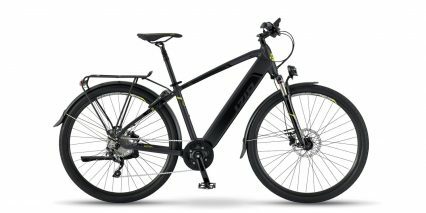 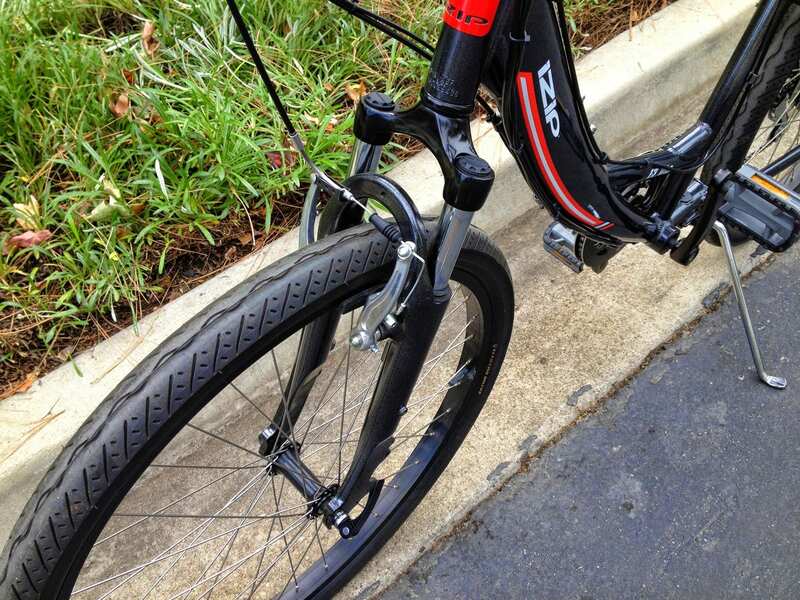 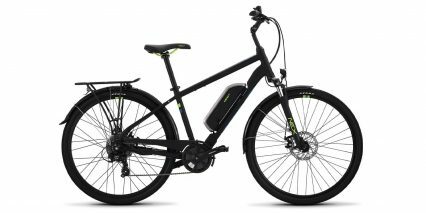 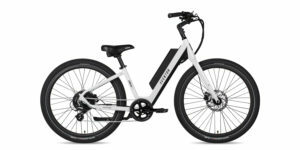 Even with the upgraded Lithium Iron Phosphate battery pack, this ebike offers less power than most of the bikes I’ve reviewed here. 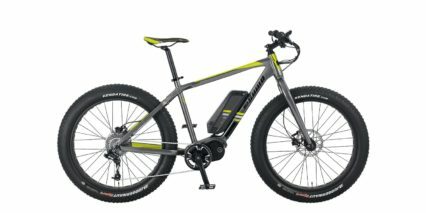 The 250 watt motor is great for relaxed riding on flat terrain but will struggle going up larger hills. 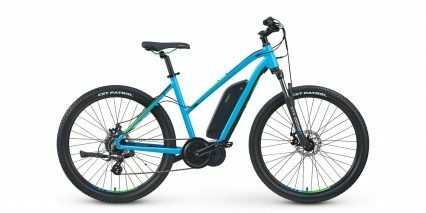 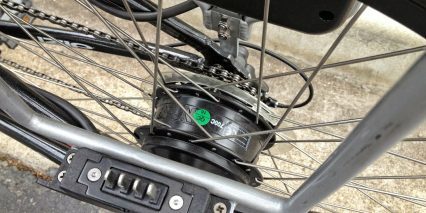 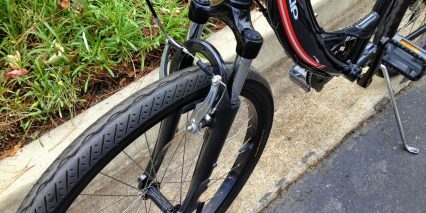 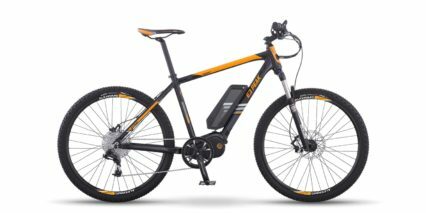 It’s a step ahead of the chain driven eZip Trailz because it’s more balanced (the motor is located in the center of the rear wheel vs. off to one side) and convenient to service (with just one chain on the rear hub it’s easier to swap tires or fix flats on this bike vs. the Trailz). 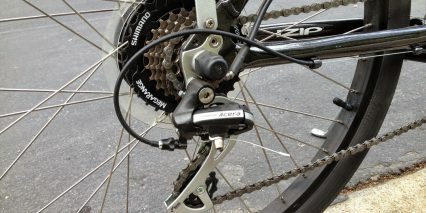 Ultimately, you’re getting a value setup with the Vibe. 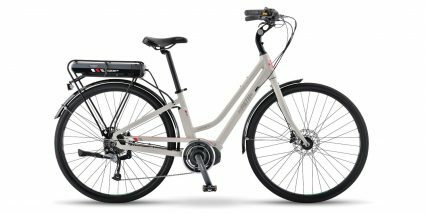 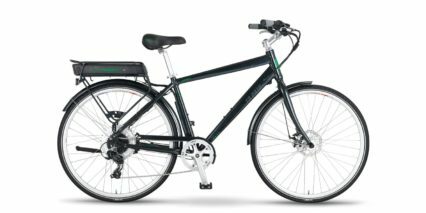 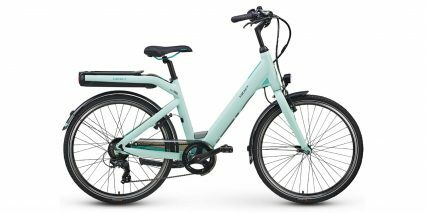 The power is still noticeable vs. a non-electric bike and most European ebikes are actually limited to 250 watts so plenty of people are getting along just fine with bikes like this. 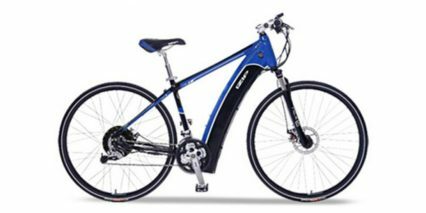 The average cyclist puts out ~200 watts during steady rigorous pedaling so imaging doubling your own strength. Overall this a sturdy bike but I have mixed feelings about the slide-on battery mounting system because it rattles a bit (consider checking and tightening the screws every once in a while) and can feel unbalanced if only one pack is attached. 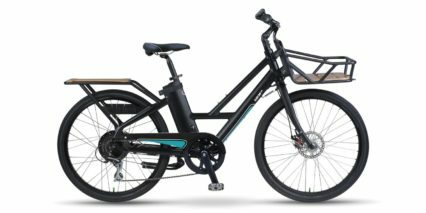 I love the option to extend the range of this ebike by purchasing a second battery pack and the switch at the rear end of the rack makes choosing one battery or the other very intuitive. 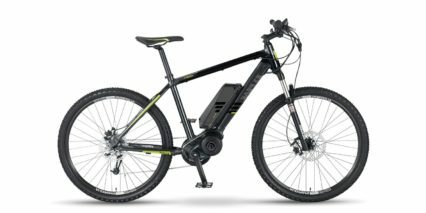 You could either ride with two packs at once for maximum range or leave one at work and one at home to charge while you ride with the other. 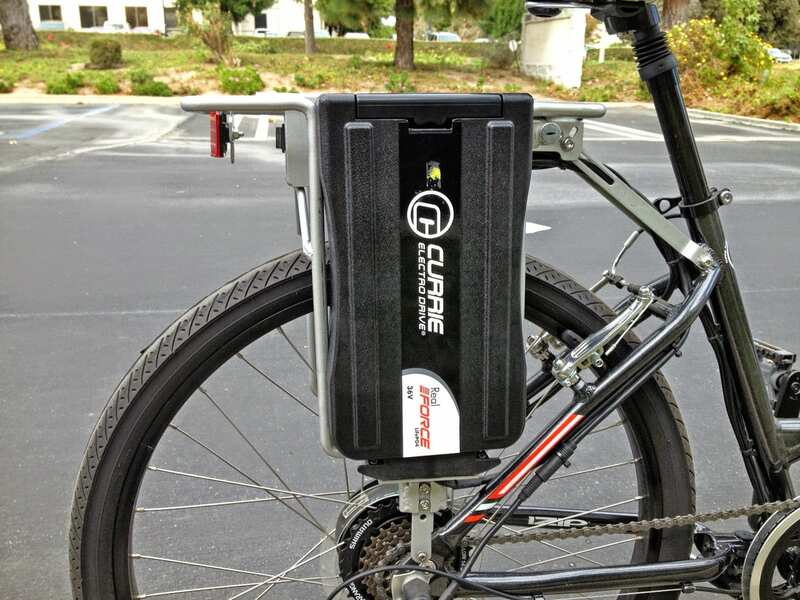 Whether you buy the Sealed Lead Acid (SLA) or Lithium Iron Phosphate (LiFePO4) battery pack, it’s a good idea to charge after every ride and store the battery inside. 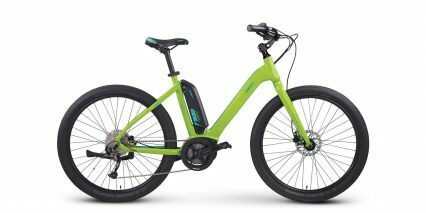 Extreme heat or cold will negatively impact the chemistry of most batteries and letting them run completely out is also a bad idea. 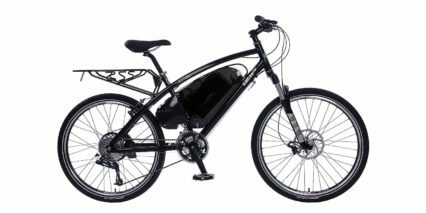 Being removable, these packs make the bike easier to deal with because you can park the frame outside and just bring the battery in. 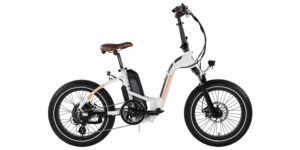 You can also lighten the bike by removing the battery when you have to transport it via car (the front wheel is also removable with a built-in quick release skewer). 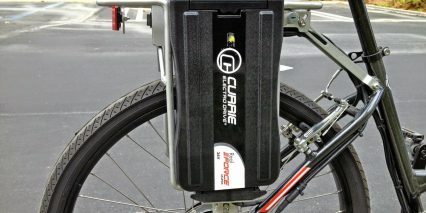 The battery packs each have built in handles which make them easy to carry and you can still find replacements online through Amazon. 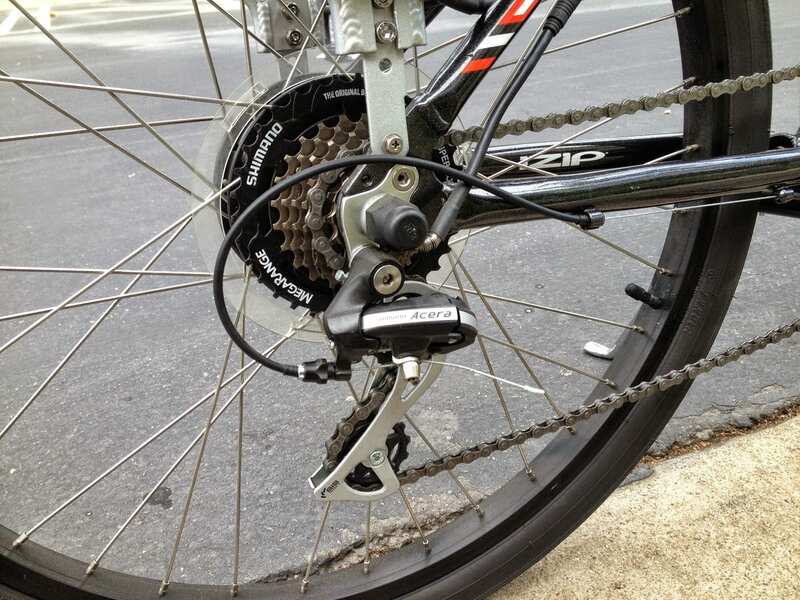 The cockpit on this bike is relatively straight forward and the electronic components are all grouped together on the right bar with very minimal readouts so they don’t end up being too distracting. 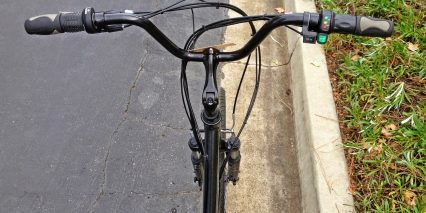 On the left bar you’ve got a grip shifter and on the right bar you have a variable speed twist throttle. 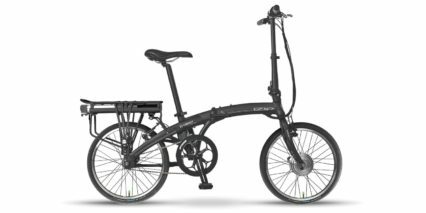 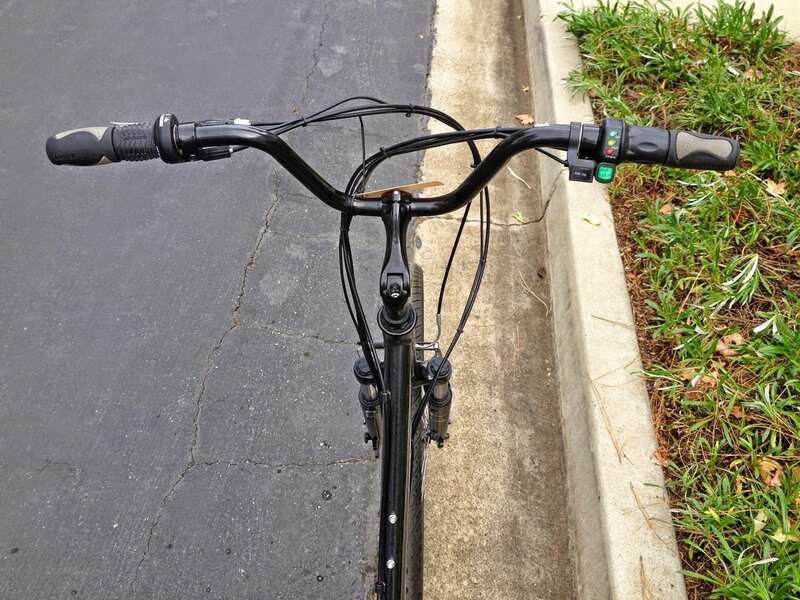 Both bars have mechanical brake levers that are easy to reach and use. 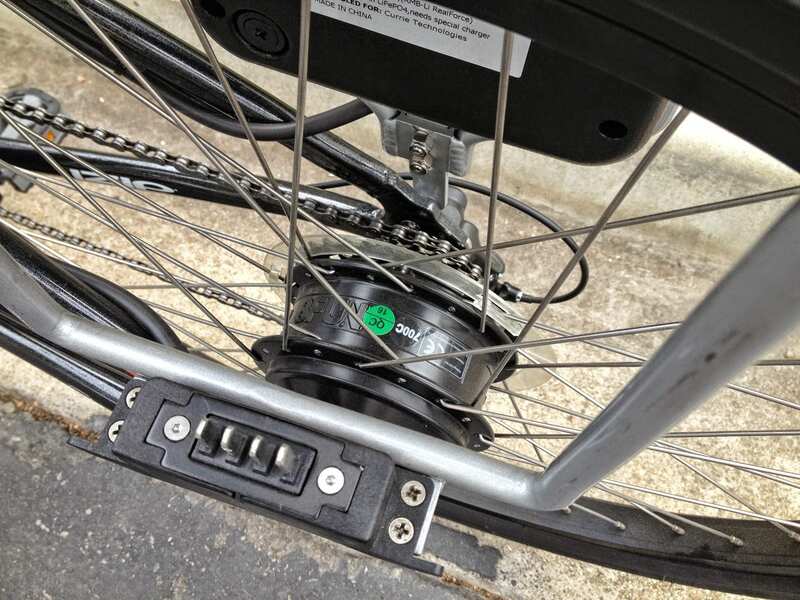 To activate the electronics on this bike you simply slide a battery pack into the rear rack, click the toggle switch towards that pack on the rear rack and then press the green button near the twist throttle. 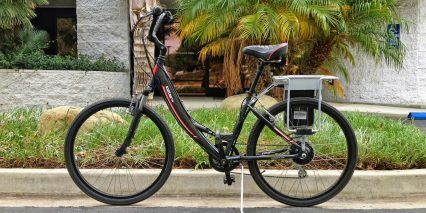 When you do this, an LED readout lights up with red, yellow and green indicators to communicate your charge level. 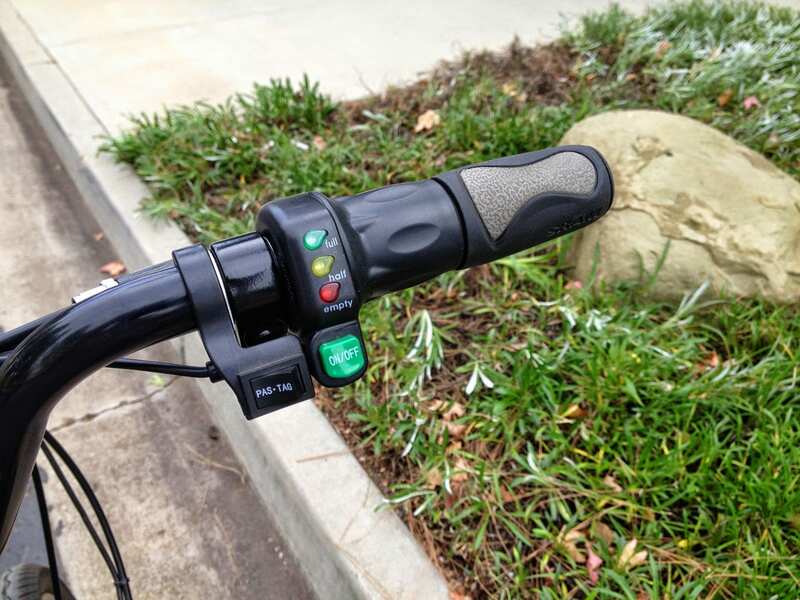 This basic voltage meter isn’t super accurate and there’s no speedometer or assist level choices but it’s durable and keeps the bike affordable. 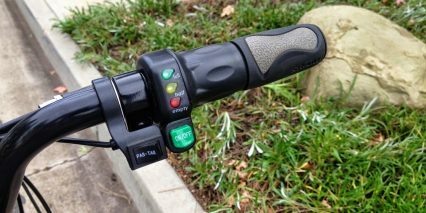 To the left of the green on/off button is a PAS/TAG that lets you choose from Pedal Assist or Twist and Go “throttle only” mode. 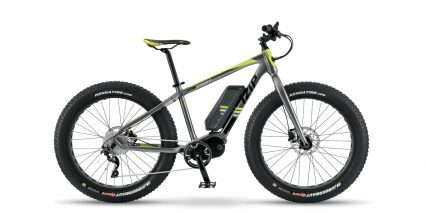 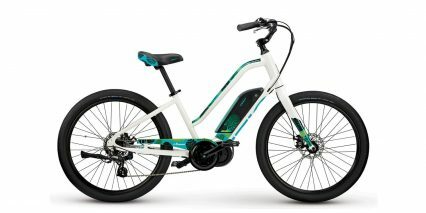 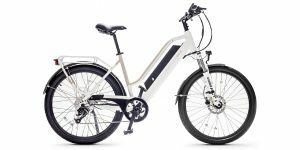 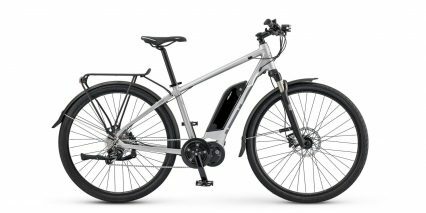 While the IZIP E3 Vibe is definitely a more entry-level electric bicycle, it offers time-tested drive systems that can hold up well if cared for. 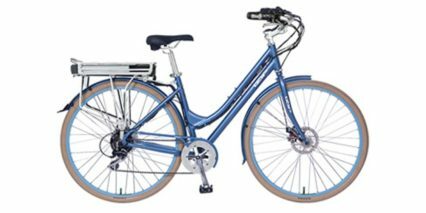 Keep the battery charged, tighten the rear rack occasionally, avoid leaving the frame out in the rain and this thing should last quite a while. 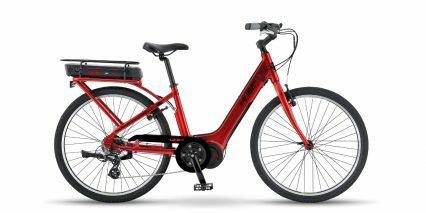 The comfort level is good thanks to the basic suspension shock, padded seat and seat post along with the riser handlebars. 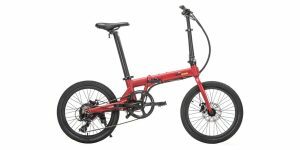 You can get either a high-step or step-thru frame (which is easier to mount but less stiff) and there are a couple of different colors to choose from depending on which model year you get. 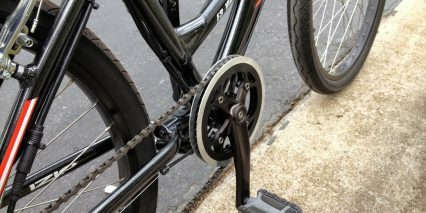 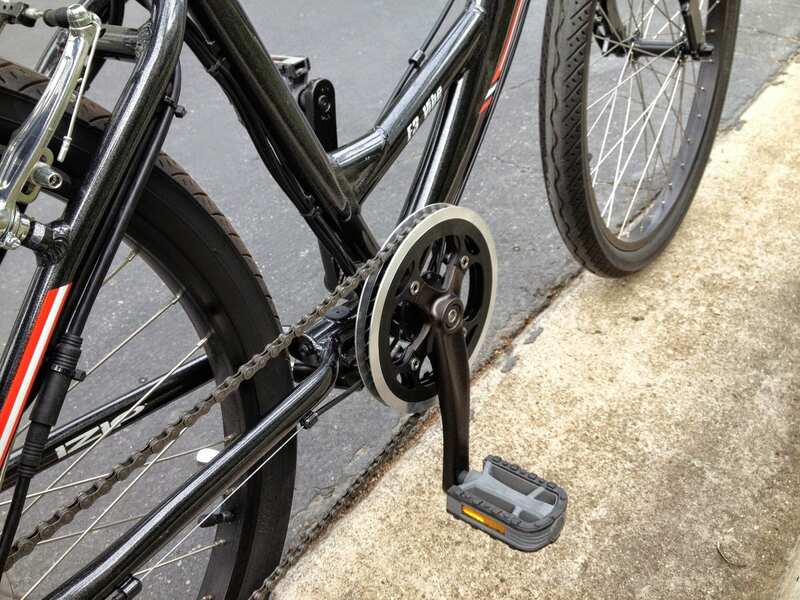 The chain ring has sturdy aluminum guides that will protect the front sprocket and also keep the chain from falling off when riding in throttle mode over rough terrain and the tires are thick, smooth and pre-Slimed to help you avoid flats. I would highly recommend considering the upgrade to a Lithium battery pack for an additional ~$200 because of the warranty and increased number of charge cycles and would urge you to test ride the bike and ask about a discount since it is no longer in production. 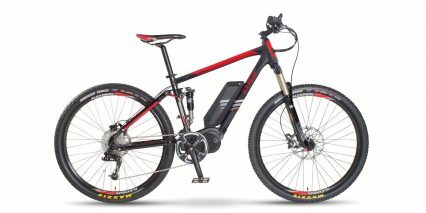 I don’t understand why Currietech put a weak 250 hub motor on this bike that is less powerful than the chain motor on the ezip trails. 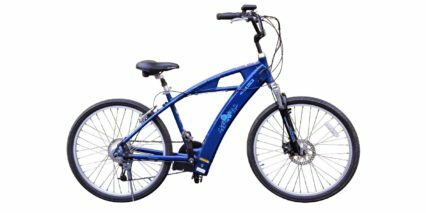 I test rode this bike and was really disappointed in the power of this bike for more money! 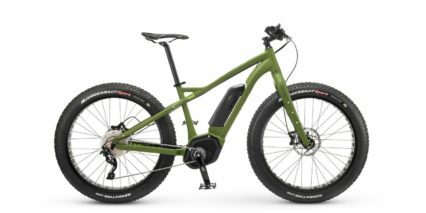 Currietech should have gave this bike a more powerful motor for the money!